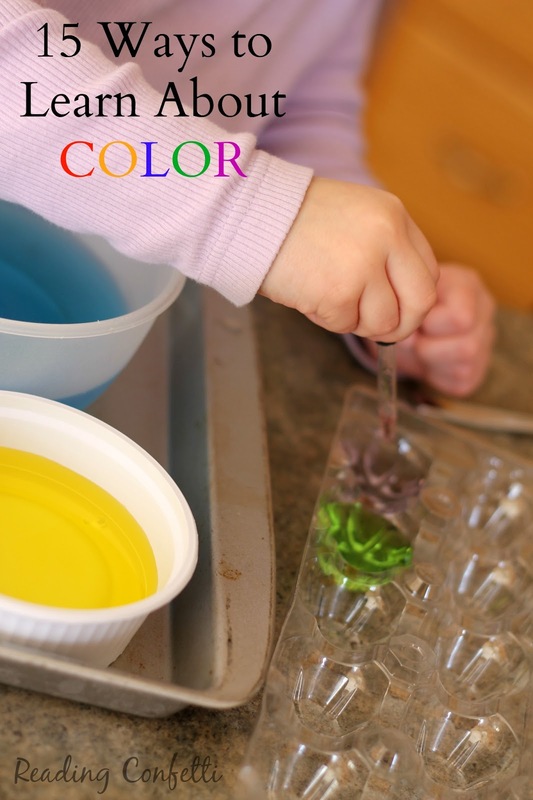 One of my daughter's favorite activities is to mix colored water and make "magic potions". We get out the food coloring, clear egg cartons, and medicine droppers. I give her large bowls and she mixes up water in primary colors. Then she makes different combinations of colors in the egg carton. It's easy to set up and keeps her busy for a long time. Since she loves learning about colors and color mixing, I was excited to find more ideas for learning about color from the Kid's Co-op. Want some colorful picture books to add to your activities? Color identification and literacy game for Brown Bear, Brown Bear, What Do You See?